Preheat the oven to 350 degrees. Season chicken breasts with salt and pepper and arrange skin side up, on a baking sheet. Transfer to the oven to roast until the skin is crisp, about 40 to 50 minutes. Remove the chicken from the oven and set aside. Remove the skin and discard it. Cut the chicken into bite-sized pieces and set aside. In a large bowl, whisk together 2 tablespoons of Enrico Formella Balsamic Vinegar, the ginger, salt, Enrico Formella Blood Orange Olive Oil, and 1 teaspoon of the minced cilantro leaves. Add the whole cilantro leaves and the lettuce to the bowl. Toss well to coat. Arrange the dressed greens on a serving platter and arrange the mangoes on top. 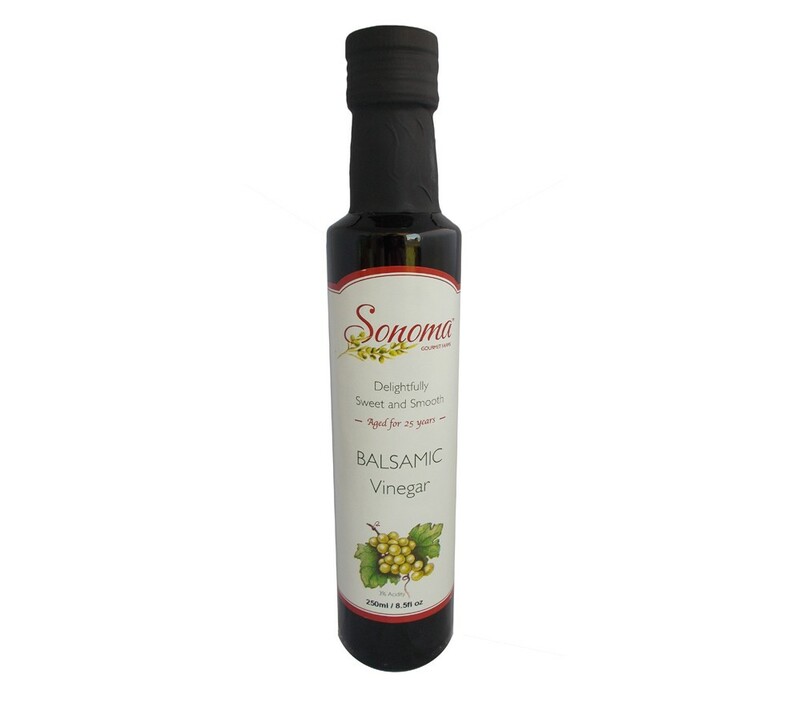 Mix remaining Enrico Formella Balsamic Vinegar with 1 tablespoon of Enrico Formella Blood Orange Olive Oil. Drizzle with 1 tablespoon of the Enrico Formella mixed vinegar and oil. 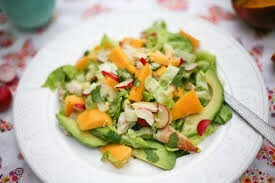 Arrange the chicken on top of the mangoes, then top with the avocado slices. Drizzle the avocado with the remaining Enrico Formella mixed Vinegar and Oil. Sprinkle with the remaining minced cilantro and minced re onion. Serves about 4 to 6. Enrico Formella premium extra virgin olive oil and the flavor of fresh blood oranges all in one. An unbelievable flavor combination. 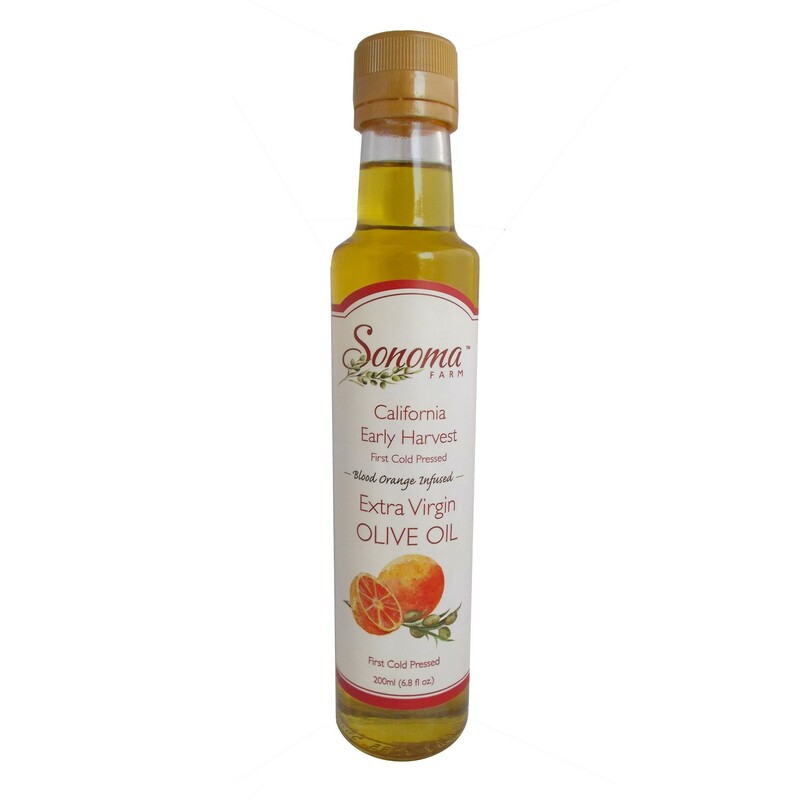 Excellent on poultry or fish and also makes great dressing for veggies and salads.